Bad is good! Down with government! I'm makin' gravy without the lumps! The Tick telling villians what to do. How to tell if it's the REAL Santa. An old villian remmebering the good ol' days. One small step for the Tick. How to become a super villian. 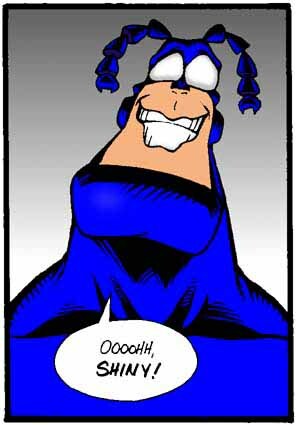 The Tick taunting the enemy. You can't tell me I'm wrong. I just wanted to wash my hands.